Do you live outside the US and UK? See my note below. [V]ery good storyline with interesting characters. A very unique world. Now at Park Road Books! I’m also super excited to report that my book is also out in the wild! It’s available at my hometown libraries in Buckhannon, WV and is also now for sale at Park Road Books here in Charlotte, NC. Learn more about The Last of the Ageless to find out where you can preview chapters, other info about the book, and a list of everywhere you can purchase it. In other news, the fourth and final short story is out as well. Collect them all! The Voice of the Darkness is not only available on Amazon but also these other fine retailers. I’ll be a participating author in Virtual FantasyCon on November 1st for Scifi Sunday. If you’re going, feel free to download this image to use as your Facebook, Google+, and other social media profile photos to spread the word. I’ve written to Amazon about this, specifically asking them to manually lower the price on their end. They denied my request and asked me to use their normal KCD system. If this bothers you, please contact Amazon and remind them that as a global retailer, they should remedy this KCD inequity. Though it won’t be USD$0.99 equivalent, you can get the ebook for a discounted price at your local Amazon in your country right now. OR you can wait until the price drops worldwide. 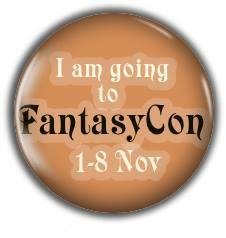 To celebrate Virtual FantasyCon (please join! ), the price will be $0.99 equivalent worldwide on November 1st – 8th.